Join the WMNEMBA crew for trail maintenance!! You can find all dates and details for trail maintenance on our Google Calendar, make sure to subscribe! 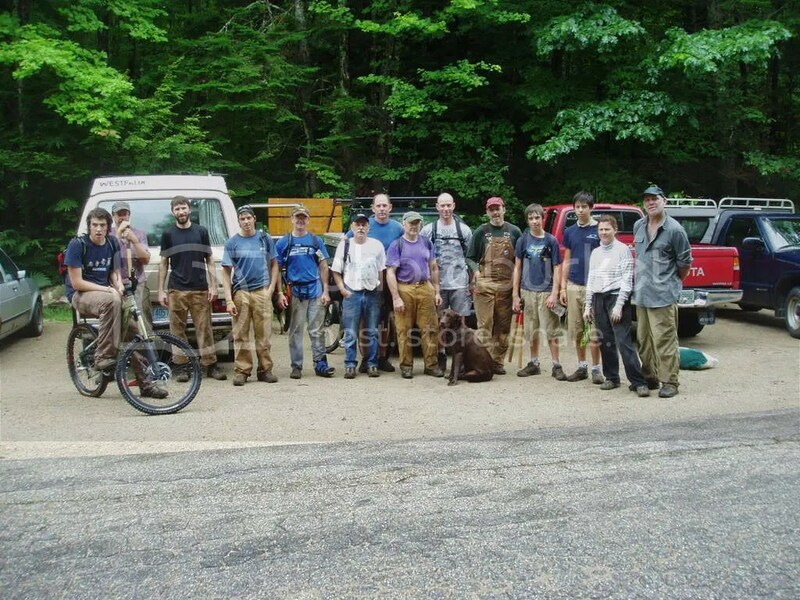 A dedicated crew does work every week (while daylight permits) at Tuesday Night Trailwork (TNT); the calendar below and our Facebook Page has times and locations. Thanks to donations from the Pequawket Foundation and NEMBA, we are now sporting a superb tool trailer. This little shed on wheels has already served us well. The trailer has also served as a fine shelter during some intense thunderstorms after a couple of trail work sessions.